honey mustard | Mommy. Foodie. Athlete. Ok, so it’s not quite greasy chicken fingers dipped in honey mustard dressing (which is full of high fructose corn syrup)m but it is pretty darn good! Super quick to whip up means that it makes a great meal for a busy night that everyone will love! 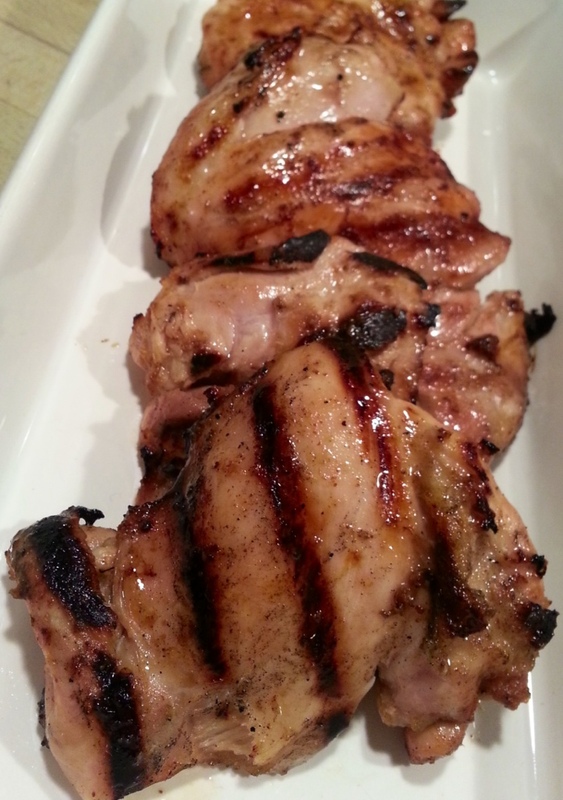 I use boneless skinless chicken thighs, but any kind of chicken would be delicious! The cold has set in here in New Jersey, so it’s time to get that oven going every night again! This recipe is so yummy that it is hard to believe that it is good for you! Everyone will want some, including the dog. Who am I kidding? The dog always wants what the humans are eating! 2. Line a baking sheet with foil. 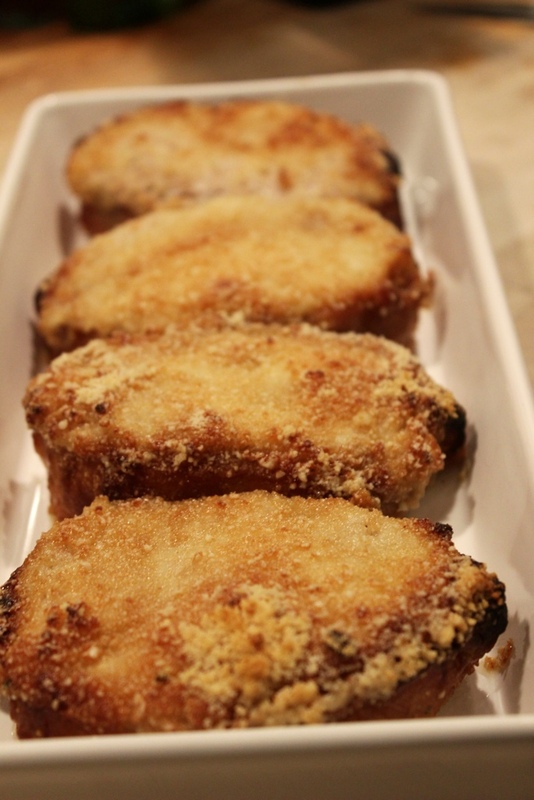 Coat pork chops with honey mustard dressing and place on the baking sheet. 3. In a small bowl, blend almond flour, garlic powder, and salt. Sprinkle an even coat over the chops. 4. Bake for 45 minutes. Crank up the heat to 425 and cook for 5 more, or until almond crumbs are browned.